Akon was born Aliaune Thiam in 1981 in St. Louis, but his family moved to Senegal until the singer was seven. After moving back to the US and living in New Jersey, Akon discovered hip-hop. A few years later, after a hiatus he claims was because of three years in jail, Akon began recording using a home studio. His first album from those recordings, “Trouble”, was released in 2004 by SRD/Universal. He then did a number of guest appearances with a variety of artists before releasing his second album in 2006. 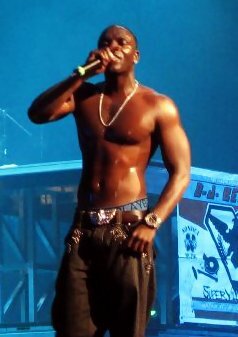 Akon began doing additional collaborations, finally releasing two more albums, one in 2008 and 2010.